I love chocolate! Everyone knows that eating chocolate that is shaped in a cute way is so much more fun, than just eating a plain chocolate bar. So we are used to pleasurably bite chocolate Santa’s head off and devour yummy easter eggs, but have you heard of someone eating their favorite Berlin Kiez in chocolate? Us neither. That is why we thought this idea is brilliant! 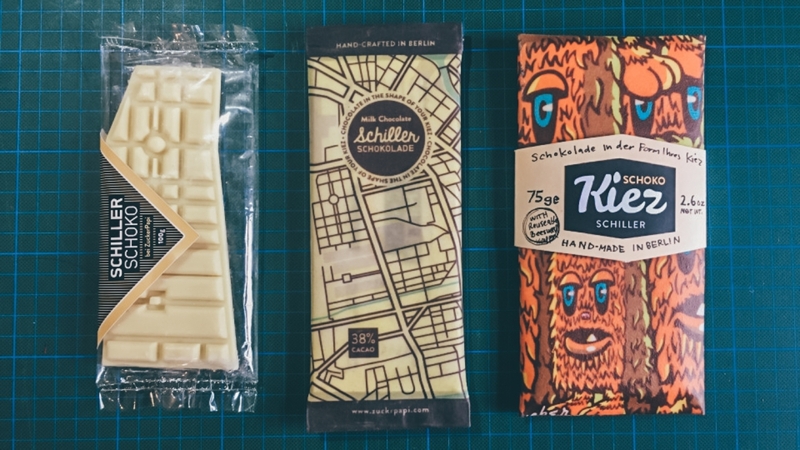 Ray and Lena from SchokoKiez invented a tasty chocolate bar, that has the map of your favorite Kiez engraved! This uniquely shaped artisanal chocolate bar is a treat for all sweet-toothed Berlin fans. 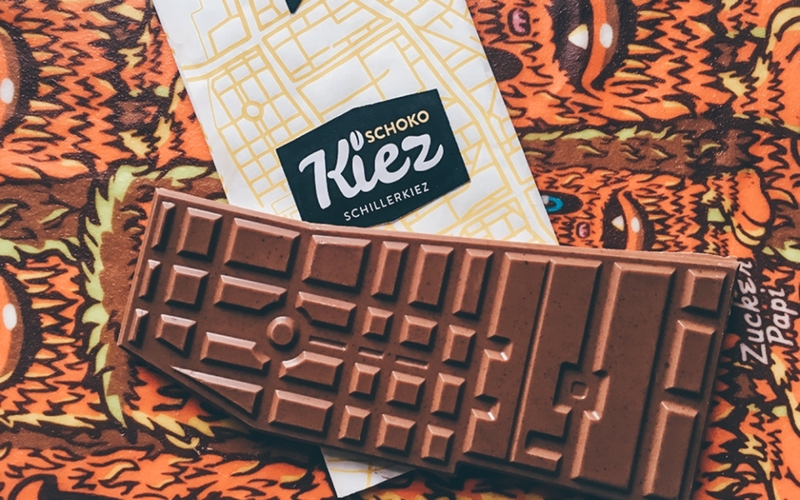 Their first SchokoKiez is the much loved Schillerkiez, to be followed by many equally famous and loved Kiez’s, such as Bergmannkiez, Boxhagener Kiez or Kollwitzkiez – just to name a few. 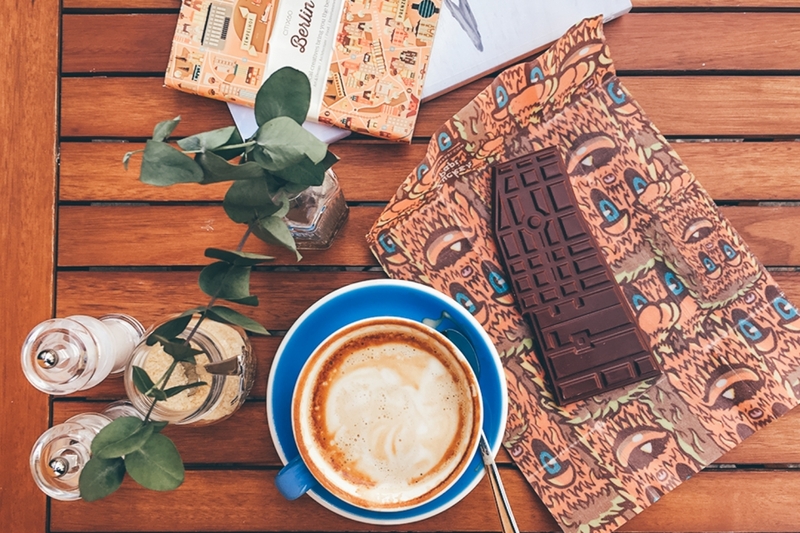 SchokoKiez avoided contributing to the single-use waste by wrapping their delicious chocolate bars in reusable beeswax wraps, that you can use for up to a year! In addition to that, they plan on creating the chocolate bar injectables from recycled PET bottles. We are loving this project! If you want to support this idea, go here to help Lena and Ray realize their vision.